The Kona Color of the Year for 2016 is Highlight. 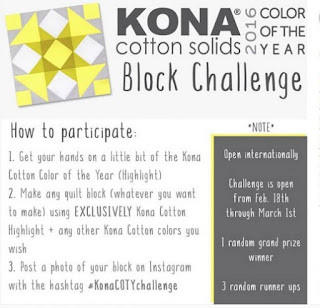 For my Kona Challenge quilt block, I’ve decided to pair it with Pomegranate, Papaya, Chartreuse and Kona White. 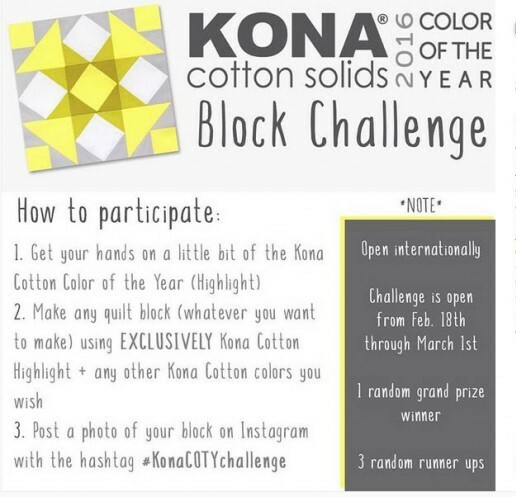 The color is off on the block photo, but you get the idea!